Make your event at Crowne Plaza Terrigal even more rewarding. Simply book and confirm a new event for this year by 30 September 2015 and be rewarded with up to $1800* in Westfield XS Gift Cards. *Terms and Conditions apply. Make your event at Crowne Plaza Terrigal even more rewarding. Simply book and confirm a new event for this year by 30 September 2015 and be rewarded with up to $1800* in Westfield XS Gift Cards. 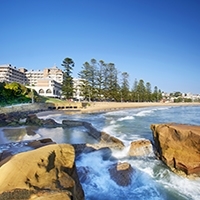 Crowne Plaza Terrigal is set on a wide sweeping bay, overlooking a pristine surf beach, only 90 minutes from Sydney or Newcastle. With an idyllic village atmosphere, and stunning natural surrounds, Terrigal is the perfect location for hosting business retreats, corporate events and functions. The hotel is well-equipped with 13 versatile indoor and outdoor event spaces, 199 rooms and suites plus ocean-view restaurants and bars. 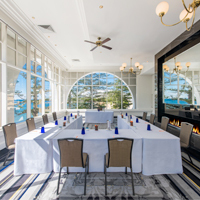 Crowne Plaza Terrigal offers a dedicated meeting floor, an exhibition and pre-function area, as well as four meeting rooms with natural light and a ballroom that can accommodate up to 500 guests. Each room features updated audio visual equipment supported by a team of professionals, ensuring your event runs smoothly. Our executive chef will consult with you to design personalised menus that are tailored to your delegate’s needs and the style of the event. From performance-supporting health food to indulgent treats, our executive chef has every option covered. Terrigal Beach is the ideal environment for inspiring creativity. Take full advantage of the superb natural surroundings with our impressive range of team building activities from beach volleyball to team building in the treetops. Our modern guestrooms feature ergonomic work areas and views over Terrigal Beach, the idyllic village or the crystal clear pool. Re-energise with a run along the beach, a session in our fitness centre or laps in the outdoor heated pool, to ensure a productive and invigorating stay. 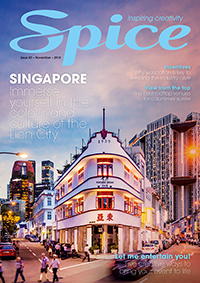 Whether it is providing creative ideas for a uniquely tailored event or following up on important details, you will have a dedicated, highly trained and experienced Crowne Meetings Director who will work with you to deliver an experience that is on-budget and beyond expectations.